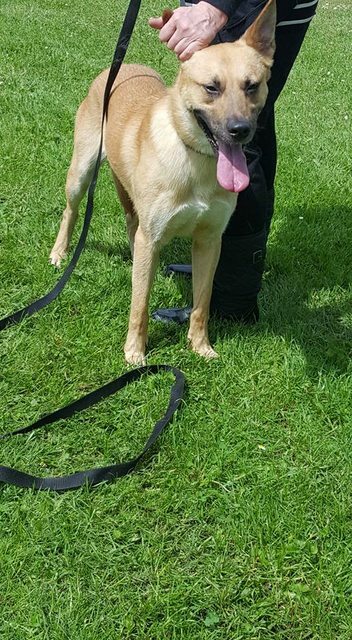 Prince is a stunning Belgian Shepherd (Malinois) cross. He is approximately 2 years old. Prince has been through so much already in his life and now needs an owner who can fully commit to him. Prince is very eager to please and picks up commands very quickly. 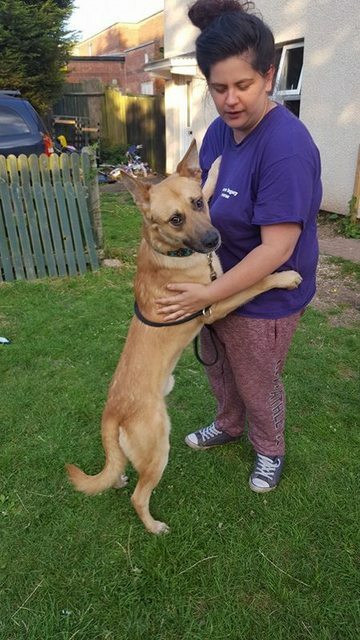 He is good with children and can be okay with other dogs but he does need careful introductions as he has been attacked previously and can understandably be wary at first. 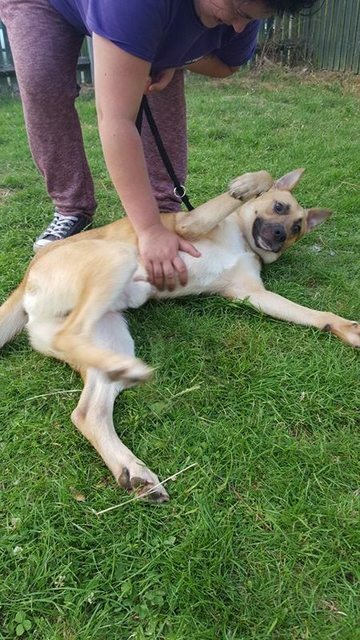 Prince ideally needs an owner who has experience with the Malinois breed. He is a very loving boy but can be skittish around men at first – he very quickly comes around. He loves lots of attention and cuddles. Prince is house trained, crate trained, knows the basics he also knows ‘hug’, ‘up’, ‘kiss’, ‘foot’ and quite a few more. He can be strong on the lead but will wait for you if he is told to. Prince is a very clever boy and needs a new owner who is going to be able to keep teaching him new things.